The Freestyle Judo Nationals is one of the largest and toughest tournaments in the country in part because of its unique rules: allowing all takedowns, tightening the restriction of ippon, and allowing a greater grace period of time for ground fighting. In light of these rules Freestyle Judo Nationals draws top competitors not just from judo but from every grappling art including brazilian jiu jitsu and sambo. This tournament style is one of the truest tests of a grappler’s training! Once again Scranton MMA was able to reach the podium not once on the day but TWICE! Tom McGuire brought homenational gold with a dominate performance in his division. Then still hungering for competition Tom made the decision to step up and compete in a higher weight bracket where he battled valiantly against his larger opponents to secure a bronze finish. When you see Tom be sure to congratulate him on his victories! 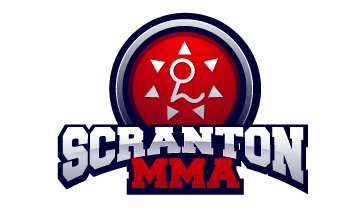 Scranton MMA would also like to commend Matt Marcinek and Eddie Adams. Both competitors had a long day with hard fought multiple matches in their divisions. Unfortunately both Adams and Marcinek came up just short of the podium. Next time! The competitors would like to acknowledge all the hard work put in by their training partners and coaches to prepare them for this event!